If you're an overworked office drone in need of steamy relief, romance publisher Harlequin reminds you that you can carry all the fantasies you need for just such an emergency … in a conveniently purse-friendly book. 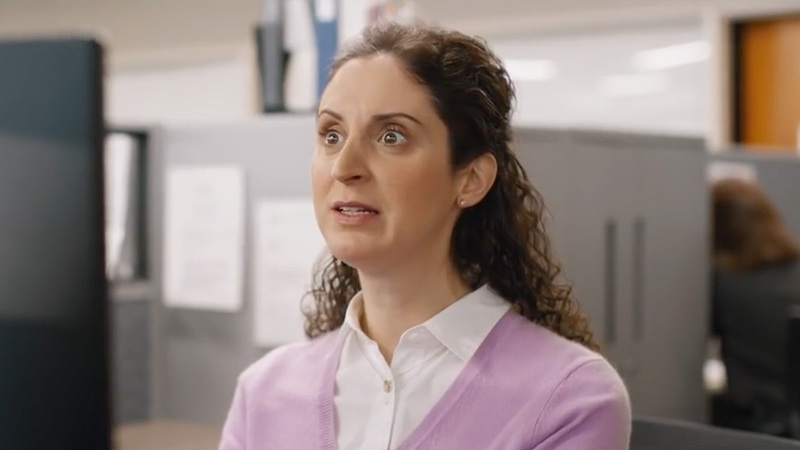 In this new ad from BBDO Toronto, a woman confined to an office cubicle gets swept away by a cast of dashing characters as soon as her supervisor gives her leave. It all starts with a dapper billionaire, who appears at her side as she rises from her desk. But as they promenade out, they're joined by a parade of hunky archetypes—the cowboy, the fireman, the navy seal, the surgeon, the barbarian and more—each with his own business-casual damsel in distress. It might not be the most progressive ad, but it suits the product, and mixes in enough tongue-in-cheek humor to make for a fun little ride. The heroine gleefully ribs the clichéd tropes of the genre, especially the sexual tension—imagine pulling in and pushing away men so ripped they induce vertigo. It may be a little tacky, the ad tacitly acknowledges, but that doesn't mean it can't make for a good time. In the end, they all blow out of the lobby, into the elevator and presumably off into the sunset. "Romance when you need it," reads the on-screen tagline (imagine its cooing voice). A handful of print ads feature similar male leads, baring abs and striking seductive poses. Because sometimes, everyone needs a little pick-me-up—some more literally than others.